One lane in each direction of the Tri-State Tollway is closed as crews work to clear a crash on the city's Northwest Side Friday afternoon. 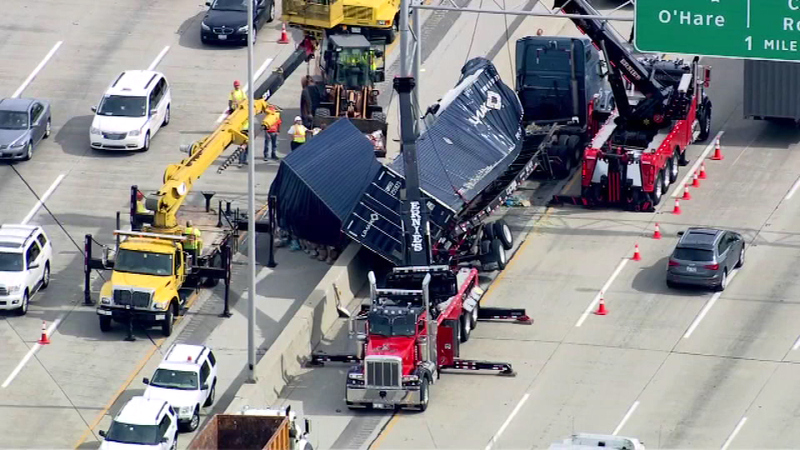 DES PLAINES, Ill. (WLS) -- All lanes have reopened on the Tri-State Tollway after crews cleared a semi-truck crash in suburban Des Plaines. The truck struck a wall Friday afternoon, causing its trailer to rupture and spill some its contents onto the shoulder of northbound I-294 near River Rd. One person was taken to Lutheran General Hospital in Park Ridge with minor injuries.